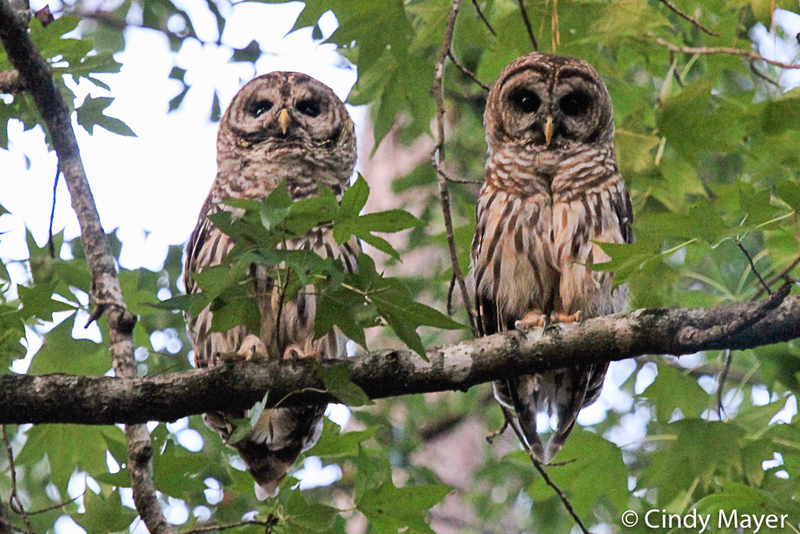 Two days ago our friend Cindy (one of our bird ID experts) sent an email with these terrific photos of two Barred Owls taken in her back yard in a Sandy Springs subdivision. She was generous enough to let us post the pictures along with her story which follows. We have Barred Owls in Peachtree Park, but we haven’t been as successful as Cindy getting a picture. However, we were able to record them calling in our back yard – check out our post title Who Cooks for You? from September. Join the fun and let’s get some more yards certified in Peachtree Park! 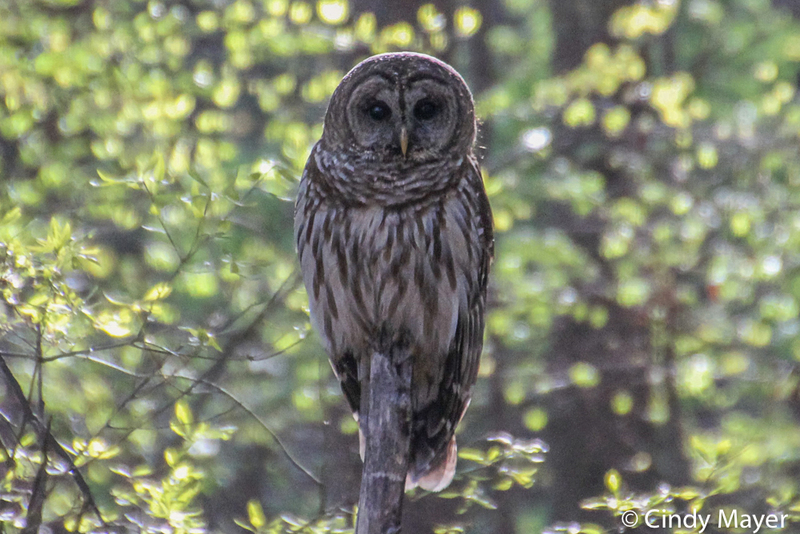 This entry was posted in Audubon - Atlanta, Habitat, Nightime Wildlife, Owls and tagged Barred Owl on July 15, 2016 by beveritt.